Strength & conditioning to target rear body muscle groups such as upper back, lower back, hamstrings, calves. Obstacle course workouts for cardio conditioning & mobility. Each Member Has Access To A Push Day, Pull Day, & Whim Day each week. This leads to a complete program & incredible results! BAREfit coaches are always busy creating totally unique, action-packed workouts for our members. All workouts are high-intensity, station-based, and filled with creative, natural movement challenges. We end our pack workouts with our FLOW; a series of movements that we build on throughout the week. These movements are meant to help with flexibility, balance and functionality. In September 2016, we launched the first of our four annual Adventure Ready series. The focus was on rock climbing. Over eight weeks we incorporated eight new skills (one a week) in our pack workouts. These skills focused on improving a rock climbing/bouldering workout and included the techniques grip strength, balance, shoulder stability, hip mobility, core strength, upper back strength, power, hand coordination. In December 2016 we launched our second Adventure Ready series with an emphasis on running. The series ran through the end of January. We have since had two more series in March/April (paddle boarding) and June/July (cycling). 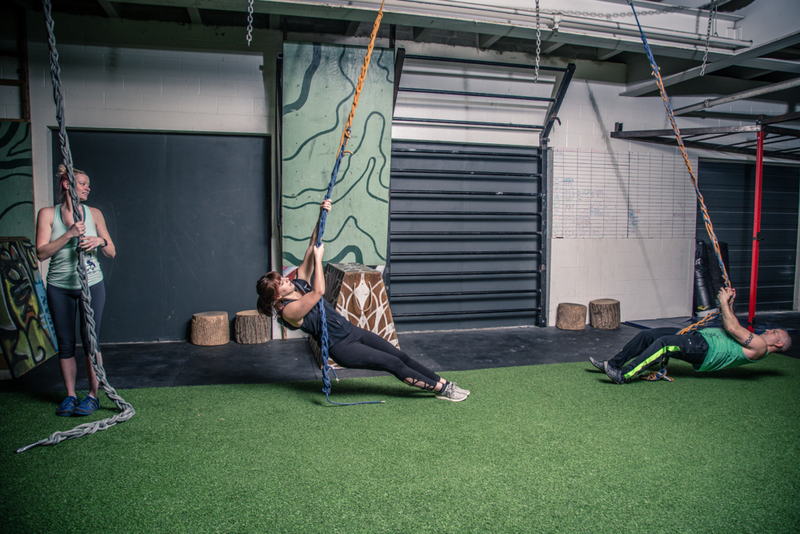 As part of our series we not only incorporate new skills but we also provide special event workouts that tie in directly with our themes and provide content for our members to help immerse them in each adventure sport.